Tom’s Truck Center (Santa Ana, CA) and Carmenita Truck Center (Santa Fe Springs) are award winning dealerships with a full range of excellent franchises including: Isuzu, Hino, Ford and Fuso. We are looking for top sales performers in the Business to Business (B2B) arena. We provide tons of sales support so that your primary focus is selling and earning. Ready to apply? 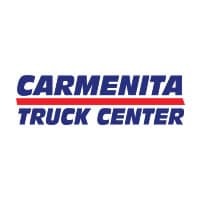 Fill out the following form to be considered for a position here at Carmenita Truck Center!